Welcome to the holidays! Hanukkah is in full swing and we’ve all survived Black Friday along with Cyber Monday. Trees and Lights are going up. There are Christmas carols floating through the air. There's nothing quite like Peppermint Bark and hot chocolate to get the holiday spirit going. One of my favorite holiday traditions is making sugar cookies for Santa. The dough is made fresh, the frosting is homemade. I love to color the frosting. What isn’t there to love and enjoy about the holidays? I’d love to hear about some of your favorite holiday traditions. Christmas, Hanukkah and Kwanza are all welcomed. Please share! This year, as the #metoo movement progresses, a Cleveland, Ohio radio station pulled the Holiday tune, “Baby, It’s Cold Outside.” Penned in 1944 as a duet, it’s been famously sung during the Holidays by some very famous people. However if one listens to the lyrics, it might be inappropriate behavior for 2018. As I understand it, it’s cold outside in the song, and the man would like the woman to stay. As you can read, the “lady” in the song wants to leave, but the “man” is encouraging her to have a drink and stay. Loessner wrote the song for himself and his wife to perform at parties. Due to it’s winter setting, it grew to be a popular tune at Christmas time. In the context of the time, and the 1940’s, when Hollywood celebrities attended parties, they were expected to perform. So Frank wrote the song for him and his wife to sing and entertain others, and it was intended to signal to their guests that it was time to leave the party; that the party was done. Considering the cultural expectations of the 1940’s, an unmarried woman was not expected to stay at a boyfriend’s or a fiancé’s house. It was natural for the “woman” in the song to want/insist on leaving. The line “What’s in this drink” has proven controversial, but at the time, in 1944, it was used as a rebuke of the social expectations of blaming one’s actions on alcohol. In 2018, it can be interpreted as putting something in a person’s drink that would lower their inhibitions. Now, knowing the intent of the song written in 1944, does this make a difference to you? It is romantic? Does it fit as a Holiday song? Is it disgusting to hear the man try make the woman stay with him? Or do you think it comes off as playful banter? And now that I’ve stirred up the pot, I’d like to leave you with Happy Hanukkah, Merry Christmas and Happy Kwanza. Enjoy your holidays, and let the love the seasons wrap a cocoon of warmth around your heart. See you next year! Her dead husband sent "Christmas Spirit" to be a matchmaker. Felix loves Christmas but when he meets a grinch, he may question his own happiness. This is a children's poem about the fun of the Hannukkah dreidel. A family reunion is the setting for a boy's celebration of Kwanzaa. Happy Thanksgiving! 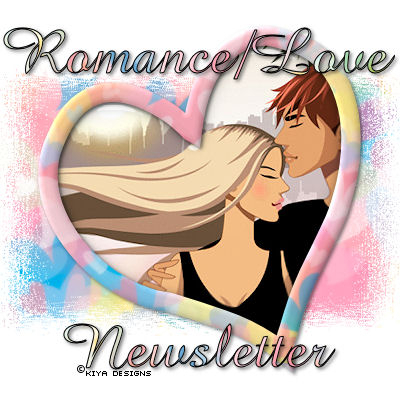 Seriously, though, I do enjoy reading your newsletter since I have so much to learn about writing romance. It all helps! Thank you for a fine News Letter. Your points are good. Thanks for highlighting my poetry to Joe. StephB is a 911 dispatcher for LAPD. Her latest release is “Mr. Christmas Elf” with Prairie Rose Publishing. All Jules wants for Christmas is a …car muffler? Can Elvis the Christmas Elf help her out? Now avail on Amazon as an Ebook! Generated in 0.60 seconds at 6:49am on Apr 24, 2019 via server WWW1.